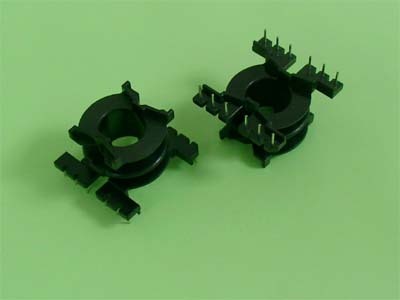 PQ bobbin conformation is horizontal with through-holes; bobbin is made of thermoset and thermoplastic. 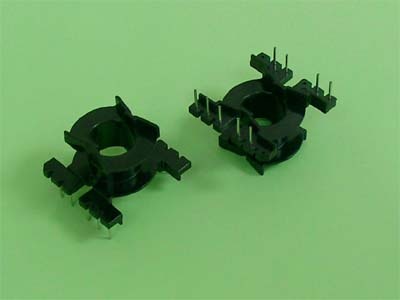 The coilformers are made in gfr Polyamide PA66 of type p6g (RTI long-range temperature +125ºC). Pin material is tin bronze, tinned for solder-pins and brass, tinned for solder-tags. Max. solder temperature +350ºC, 2 sec. 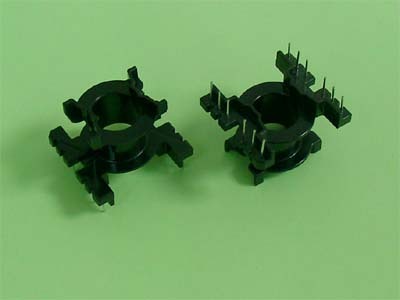 The coilformers are suitable for automatic winding on computer controlled machines. 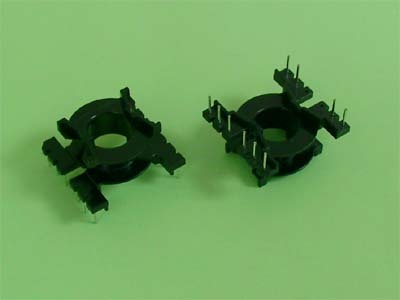 Surface mount is not available. 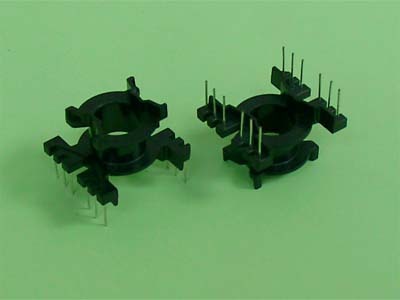 Large terminals allow larger diameter magnet wire. PQ bobbin is easy to use. Cost: low to moderate. High efficient bobbin core with high permeability and excellent impedance characteristics are for effective AC line noise prevention. We apply a computerized process to generate mold design, auto forming, and injection. 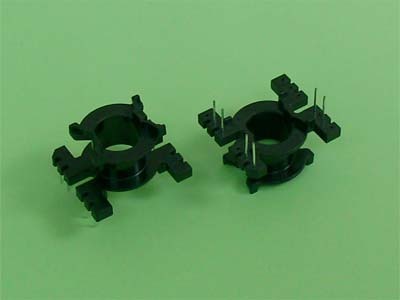 All ferrite bobbins are made of UL-approved materials. 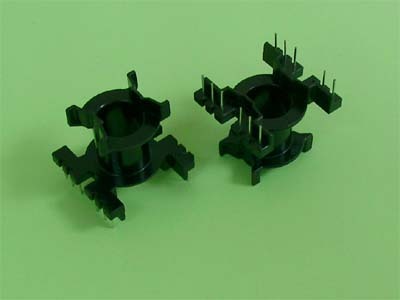 Bobbin PQ Series are for Ferrite Core used in Switching Power Transformers, Switch Transformer, Inductor, Coil, Filter, etc.